Fresh Grouper from Mr. Karidopoulos! Again! Monday 12 June, Mr. Karidopoulos brought us a giant grouper almost 35 kilos. Absolutely fresh and ready to be consumed. Our eternal gratitude to Mr. Karidopoulos for his contribution sustaining the operation of PMC. 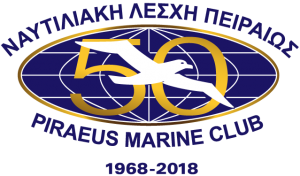 http://marine-club.gr/wp-content/uploads/2018/04/Βλάχος-35-Κιλά-768x312.jpg 312 768 Publishing Editor http://new.marine-club.gr/wp-content/uploads/2018/04/50YRS_as-at-3.4.2018a-300x176.png Publishing Editor2018-04-18 01:53:072018-05-06 21:18:38Fresh Grouper from Mr. Karidopoulos! Again! SUSHI Menu Thursday 22 June! Come to enjoy it! Fresh Fruits from Mr. Meimaridis.